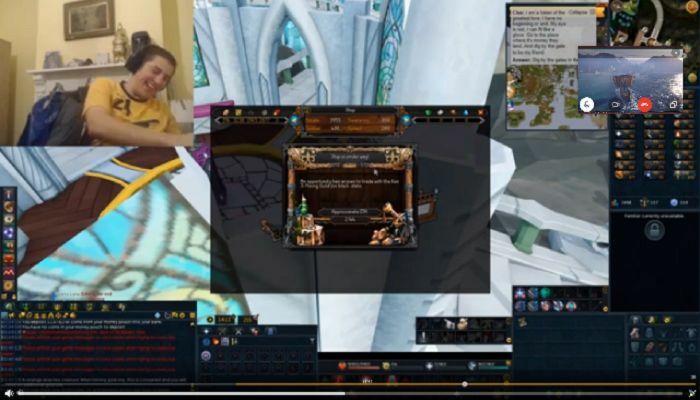 A YouTube streamer named "Aus_Swag" has been permanently banned from RuneScape after an incident when, while playing the game, he made a phone call to a suicidal person. According to Dexerto.com, Aus_Swag was asked by a friend to phone a suicidal woman "for advice and support". He did so during his RuneScape stream and, rather than offering support, "he instead simply states, 'I think you should just kill yourself'" while laughing along with other participants in the call. As a result, the individual has had their RuneScape account permanently banned with immediate effect. Jagex is incredibly passionate about mental health and wellbeing, and we will continue to do all we can to help those in our community – and beyond – receive the support they need to overcome the mental health challenges they face in their day-to-day lives. It also appears that Aus_Swag's Twitch account has been banned as a "removed content" notice is present when accessing the URL. Since that time, Aus_Swag has issued an apology, (see below) but does stop to offer a recorded conversation where he asks the woman if she remembered him saying she should kill herself. She says no. "First off, I'd like to say that I am sincerely sorry for my actions last night on stream. "I had called a girl who is suicidal and said, "I think you should kys" which was a careless attempt at a joke. When doing this I had my phone's microphone muted because I never intended to try and put her or anyone at risk. "I understand that suicide is a truly serious issue and has a widespread effect on everyone." Subsequently, Aus_swag also made a $200 donation to Beyond Blue, a suicide prevention charity. Have you suffered enough from lousy equipment and limited resources in Runescape that negligibly small to help you thrive in all competitions? Are you running out of time to farm and harvest due to the busy schedule? Well, here is the saviour for you to meet - MMOAH. MMOAH Runescape store provides the most resourceful products with reasonable low price and generally-30-minute delivery. If you look for buying RS golds, Highly recommend MMOAH Fortnite store. View more details or purchase now through clicking RS3 Golds or OSRS Golds for sale.